Pilates can be enjoyed by anyone, young or old, famous or infamous, olympic athletes or weekend warriors, fully functional or painfully disabled. Pilates is a method, once learned, can easily be incorporated in your daily life making the benefits endless. Pilates improves flexibility, builds strength, develops control and endurance in the whole body. It puts emphasis on alignment, breathing, and developing a strong core and it improves coordination and balance. During Pilates, the patient is always in control of his/her body and the movement he/she is performing. Because of this, Pilates can be a very safe and effective form of exercise for anyone. Achieving better control of the body often translates into better control of pain. This ensures proper muscle recruitment when strengthening, stretching, or performing active range of motion (AROM) exercises. All healthy movement must come from a stable and strong center. The core muscles of the body are the deep muscles of the back, abdomen and pelvic floor. These are the muscles we rely on to support a strong back, good posture and efficient movement patterns. When the core is strong, the frame of the body is supported. This means the neck and shoulders can relax and the rest of the muscles and joints are freed to do their job. We frequently coordinate our exercises with inhaling and exhaling patterns, and use the breathing to initiate and support movement. The diaphragm is an essential muscle that helps move our ribs in coordination with the abdominal muscles and the obliques. When the abdominals are pulled in properly, they protect the spine and act like a supportive corset for the whole trunk. Knowing how to breathe well while keeping the abdominals contracted give us extra support throughout an exercises. Having a proper breathing sequence also prevents straining muscles and stressing internal organs and creates an overall relaxation and control when performing activities which may have initially caused pain. In Pilates, we work toward a safe incease in length and stretch of the muscles and range of motion within the joints. Stretching is more dynamic and moves in and out of motion. Motion is lotion to the body and there minimal static sustained postures in Pilates, only fluid dynamic movement that increases your flexibility with less overall strain. You won't find quite as much "Pretzel logic" in Pilates as you might in Yoga, but a body that can stretch and bend to meet the flow of life. After a Pilates session, a patient should feel more "balanced". One major characteristic of Pilates is the quality of movement versus the quantity or intensisty of movement. Pilates should always be supervised to guarantee the quality of movement, no faulty postures, no straining, perfect alignment. Visual, tactile and verbal cues are frequently given to make sure each movement is done perfectly to promote alignment and prevent injury. Doing 5 repetitions the correct way with the body in proper alignment makes a big difference in strengthening for a long term painfree future. There are many exercises methods that focus on numerous repetitions causing faulty movement which makes your prone to repetitive strain or even worse an injuy. After an exercises progrm in addition to feeling "shaky and worked" clients will often say that they "feel taller and lighter on their feet." 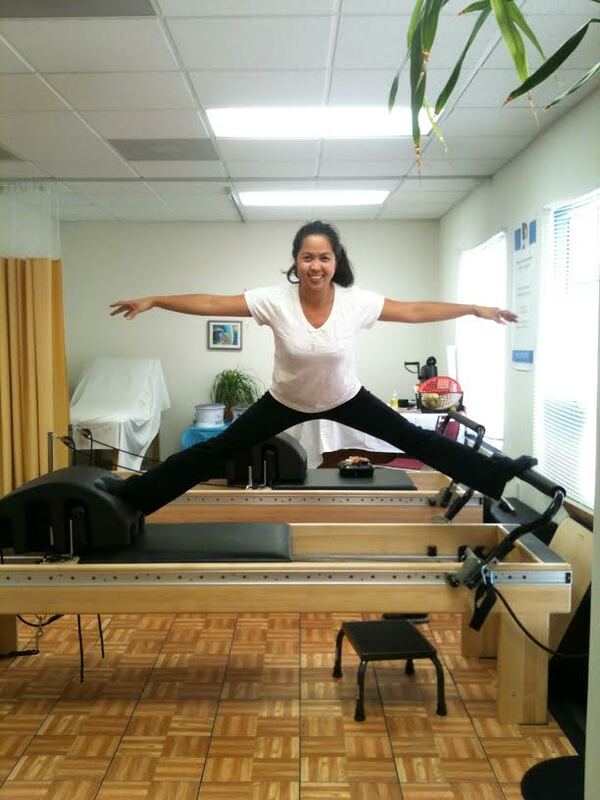 At Central Care Physical Therapy, your PMA Certified Pilates Teachers will guide you through each exercise. Our facilty is fully equip with Balance Body Pilates apparatuses: Trapeze Tables, Combo Chair, Clinical Reformers, Pilates Arcs and Ladder Barrel. All our physical therapy clients do Pilates adjuct to manual therapy to complete their treatment. Call us if you are interested in some Pilates classes or for your physical therapy needs. We are here to help. (909) 590-7997.